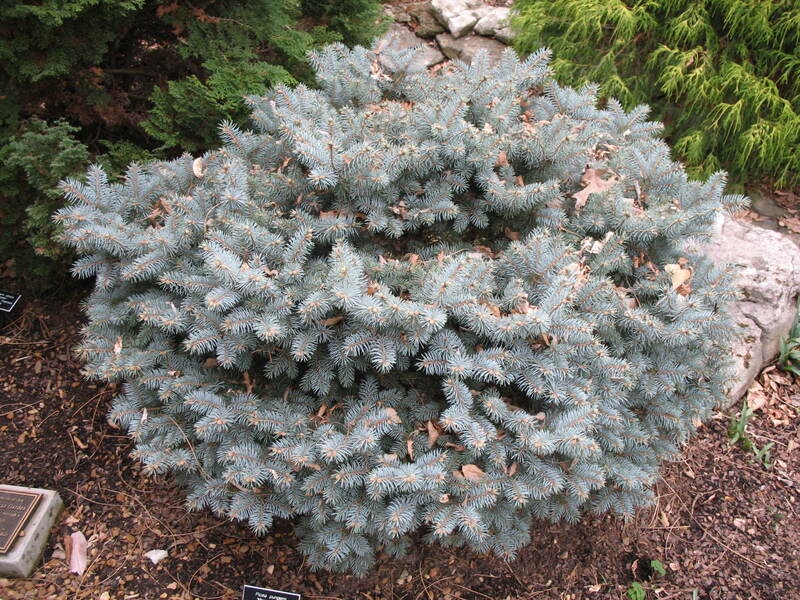 Comments: This dwarf, slow growing spruce with a mound shape and bright blue needles is the most widely grown dwarf spruce in America. It grows about 9 inches per year. If the central leader is removed, the plant will grow wider than tall, until a new leader if formed. It is extensively used as a specimen in the landscape and could be grown in a container.